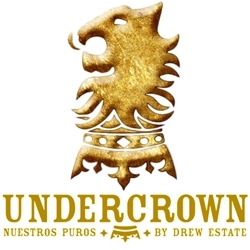 Created for their own personal enjoyment when supplies started to run low, the torcedors (cigar rollers) at Drew Estate began crafting their own hand-rolled premium cigars which ultimately produced an amazing new line, Liga Undercrown. Maduro, Shade and Sun Grown were the handmade cigar styles born from this collaboration. Each of these premium cigars are expertly hand-rolled in Maduro, light Shade and Sun Grown wrappers and infused with carefully aged tobacco fillers with the right blends and mixtures from the Dominican Republic and Nicaragua. All these different infusions will give every Undercrown cigar user a smoke that is lush, smooth, and sweet. Such a marvelous combination will make you want more!